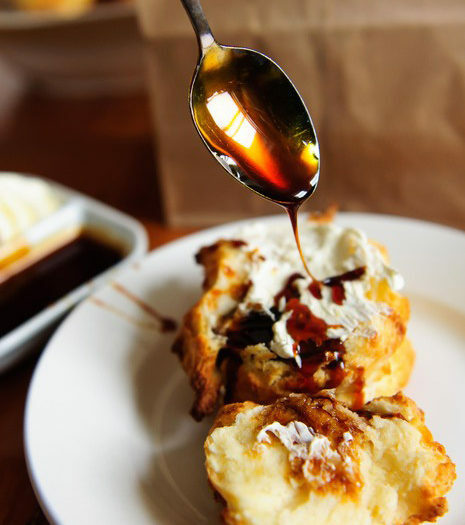 Buttermilk BiscuitsThese are “drop” biscuits, not rolled and cut as many recipes suggest. This causes little irregular edges in the dough to brown and crisp while baking, giving the biscuit a lovely texture. The effect is better if you have a convection oven, but it’s still a very tasty biscuit. This is the exact recipe we have served at Chives every night since we opened. 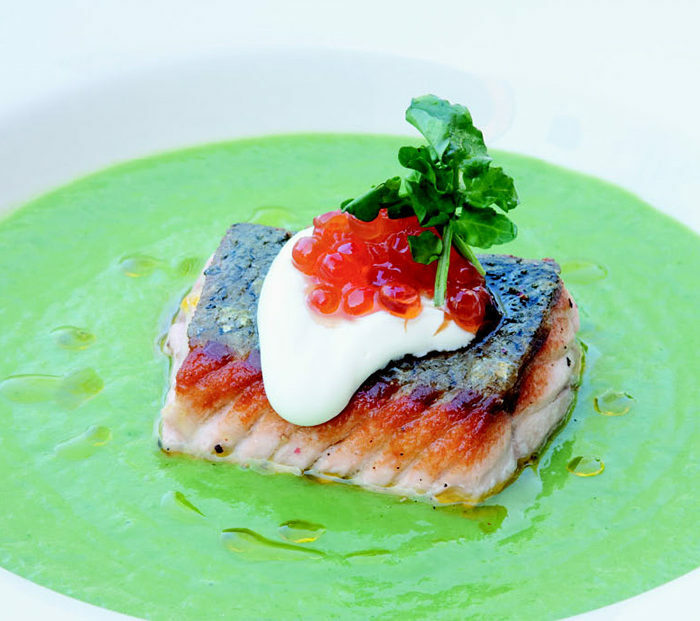 Watercress and Summer Leek Soup with Seared Salmon, Creme Fraiche and CaviarI love cooking with summer leeks. They have less of the stiff green top and more of the tender white bottoms than their winter cousins. Their flavours are more subtle than other members of the onion family and they do not have an adverse effect on your breath. This soup is very simple and quick to make and can be made vegetarian by omitting the fish garnish. 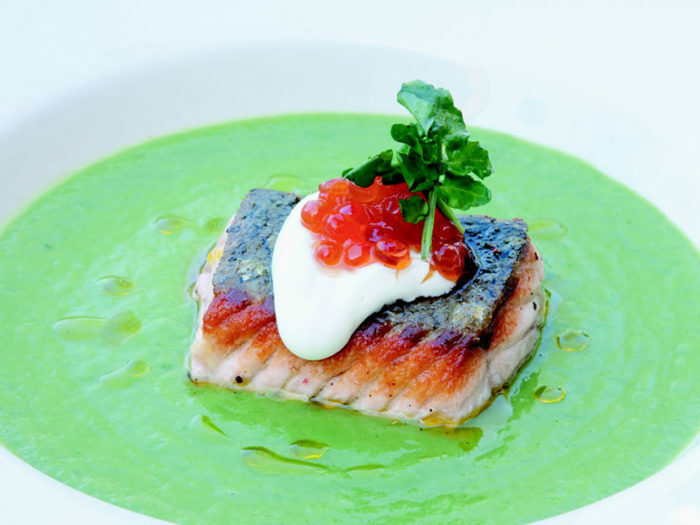 Or you can substitute char, sea trout, or even a white-fleshed fish like halibut or sturgeon. The possibilities are endless. The “caviar” or salmon roe is found or attainable at most good fish markets. 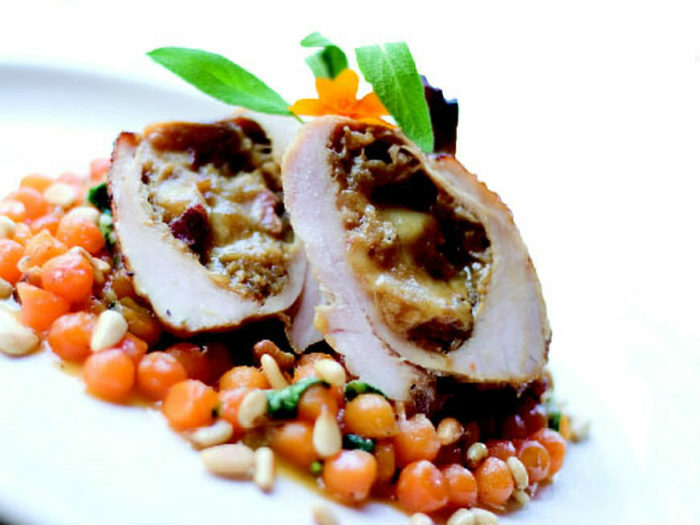 Ham, Mozzarella and Caramelized Onion-stuffed ChickenChicken dishes are often the “conservative” option on restaurant menus and can be a little bland. This, however, is a very flavourful recipe that can be served with simple mashed potatoes, pasta, risotto, or even a salad. 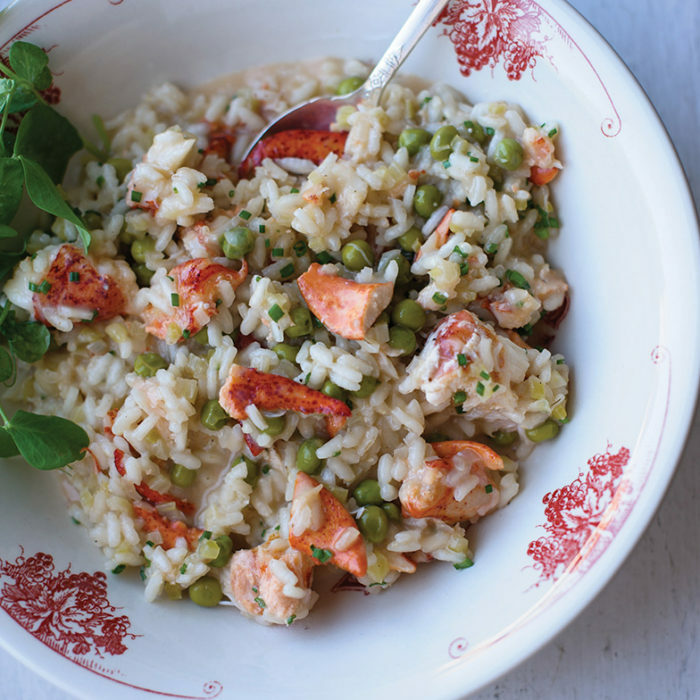 Lobster and Sweet Pea RisottoBeing a chef in Nova Scotia has its perks for sure, and having the freshest lobster available year-round is one of them. Although the simplest preparations are often best for lobster, it is rather versatile and allows for some creativity too. This is a signature lobster dish of mine, but also one that captures the essence of a summer garden: sweet peas out of the shell. 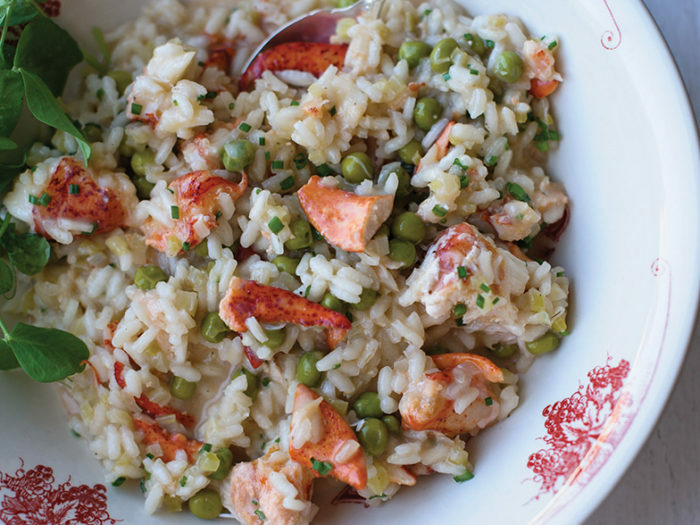 Risotto continues to be one of the most desired dishes on restaurant menus, and home cooks are not nearly as intimidated as they once were to dive in and try making it themselves. For a real boost of flavour, take the time to make the lobster broth if you can, but if you just can’t manage it, chicken broth is fine too. 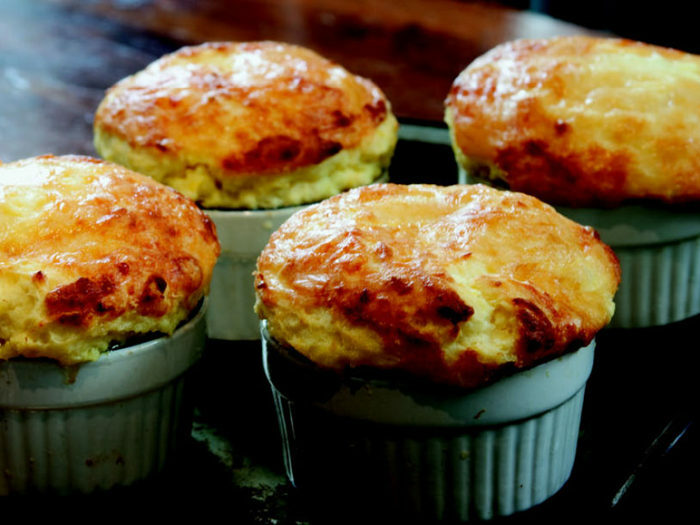 Corn Cob and Aged Cheddar SouffleˆSoufflés, both sweet and savoury, are served every day in bistros all over the world. They have a reputation as being difficult but they are actually a lot of fun to make. Fresh corn for this recipe really makes a difference, but frozen can be used in a pinch. I typically use white Canadian cheddar, but orange cheddar, Gruyère, Gouda or Oka are also great choices. It makes a great side dish for pot roast, roast chicken, roast pork or barbecued chicken. Strawberry ShortcakeIt only feels like summer in Nova Scotia once you’ve eaten your first strawberry shortcake. 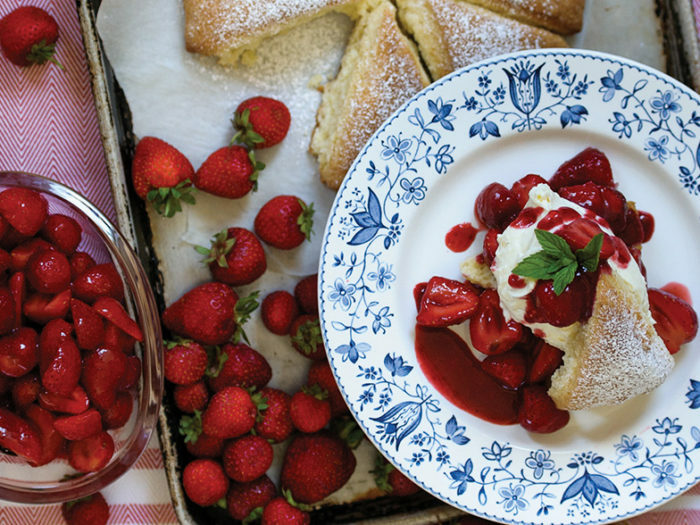 This is a recipe that I feel modernizes the dessert a bit by adding some melted white chocolate to the whipped cream and a simple wine glaze on the fresh berries. Feel free to use a standard tea biscuit here, as would be the traditional way served in homes, family restaurants and church suppers around the province. Mussels NormandyThere’s a good reason that mussels are a standard appetizer in Nova Scotia. 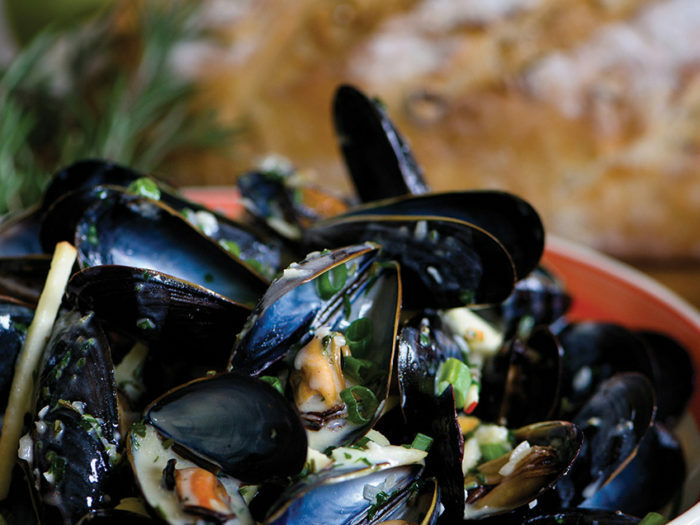 Simply steamed and dipped in butter or topped with one of the many sauces that show up on creative menus, sweet and briny mussels stand the test of time. I’m a fan of this recipe that also showcases local fall apples, along with shallots, butter, rosemary and full cream. The smell reminds me of a dish from Northern France, hence the name — and my suggestion that you serve it with a chewy homemade baguette that you can tear up by hand, as though you’re in a French bistro by the sea. 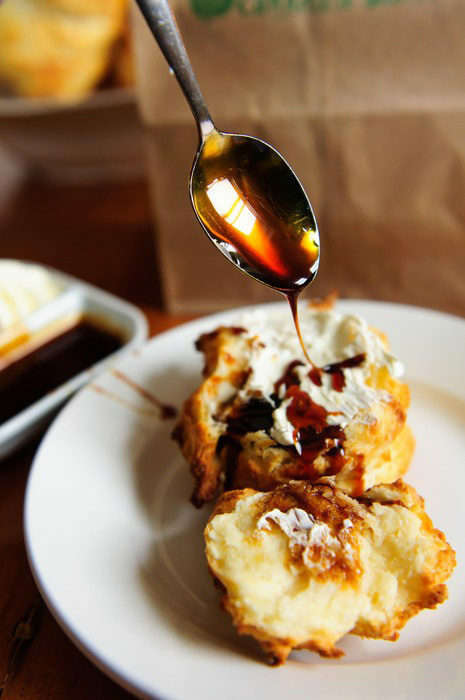 The sauce is too good to waste a drop, so use the bread for dipping! Roast Chicken with Root VegetablesJulia Child often commented that a cook’s ability is determined by how perfectly he or she roasts a chicken. She was a believer in trussing the bird to preserve its juices, as well as for presentation. Very few people are prepared to make the effort to truss their chicken, so this recipe focuses more on the timing and basting of the bird during the roast. 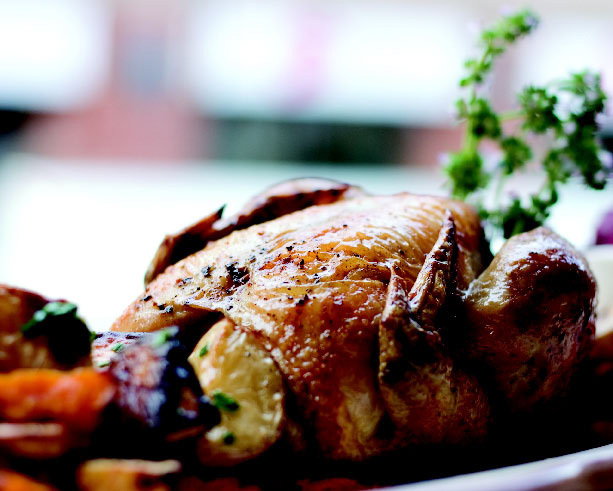 Locally produced free-range chickens are generally available at specialty grocery stores or your local farmers’ market. 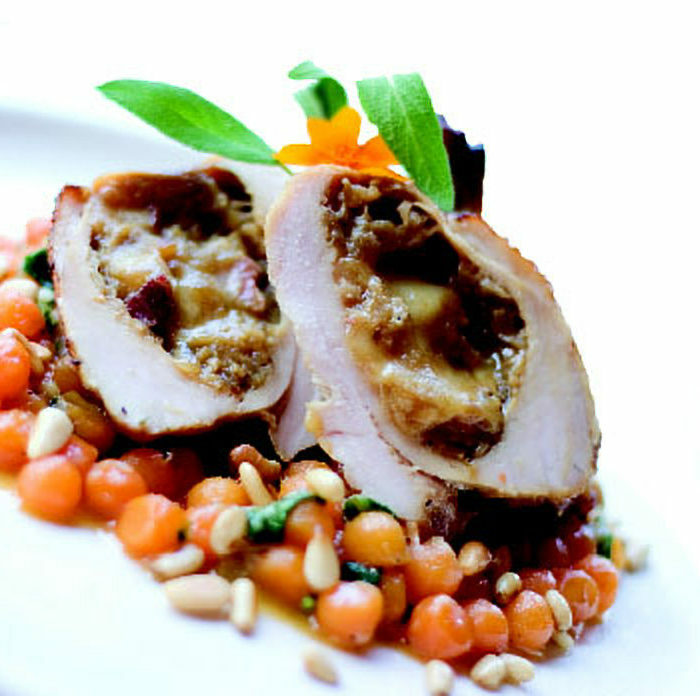 For simplicity, the root vegetables accompanying this dish can be placed in the same pan as the chicken, but the higher moisture content may prevent the chicken from developing a crispy skin. I suggest cooking them separately to achieve the ultimate roast. 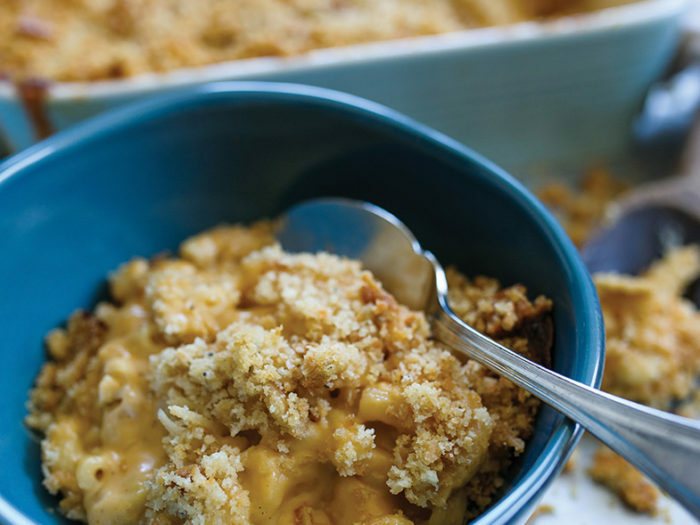 Crazy-good Mac and CheeseIt’s hard to imagine a childhood without macaroni and cheese. We all have our own idea of the best version (usually your mother’s), but I wanted to incorporate certain things into my “ultimate” recipe. A creamy mac and cheese should have visible macaroni noodles and not be a solid brick of mushy starch. There needs to be lots of flavour from some of my favourite local artisanal cheeses, and a tangy zip to balance the richness. And there needs to be a golden, crunchy crust on top. After several tries, I found that a classic Mornay sauce with the addition of some store-bought Velveeta cheese (yes, you read that correctly) gave me the texture and balance that I desired. So, here it is. Make modifications if you like, but I feel confident that mac and cheese lovers will find this quite appealing.